NerdWallet&apos;s Home Affordability Calculator: How Much House Can I Afford? If you earn $56,516 in annual income, that means your monthly house payment should be no more than $1,695, according to the 36% rule. The rule, which measures your debt relative to your income, is used by lenders to evaluate how much house you can afford. Location matters. Affordability varies based on your state (interest rates) and even your county (property taxes). A home is a big expense – but it also pays in other ways! Deduct your mortgage interest and local property taxes to save money at tax time (especially when interest is high in the early years). How much is your down payment? Lenders have traditionally preferred a 20% down payment, but these days you can put much less down. However, that means you’ll likely need to pay mortgage insurance. How much are your monthly obligations, besides housing and everyday necessities like food? Monthly obligations could include things like child care or support, car loans, credit card debt, student loans and alimony. Lenders have some leeway on how they factor in your debt load — depending on your credit score and payment history — but it’s best to consider realistic numbers here, not low-ball numbers so that you don’t get into a financial bind down the line. A higher credit score gives you a better chance for a lower loan interest rate – which could save you thousands of dollars over time. Get free guidance on changes you can make to afford more house, without spending more. Personalized rate in minutes, locked in with a simple and fast online application. 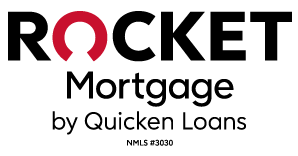 A top mortgage lender with full catalog of mortgage offerings. See how much you qualify for and get a preapproval letter in just 3 minutes. Now that you know what you can afford, start building your winning home buying team! Our partner, HomeLight, analyzes millions of home sales to identify the best performing agent. To calculate your general affordability range, we take into account a few primary items, such as your household income, monthly debts (for example, car loan and student loan payments) and the amount of available savings for a down payment. That said, as a home buyer, it’s important to have a certain level of comfort in understanding your monthly mortgage payments. While your household income and monthly debts may be relatively stable, your overall savings and how much you wish to allocate toward your home can vary depending on how much you want to set aside for a rainy day or how much you want to set aside for a future expenditure. A good rule of thumb is to have three months of your housing payments, including your monthly expenses, in reserve. This will give you an additional buffer in case there is some unexpected event. An important metric that your bank uses to calculate the amount of mortgage you can borrow is the DTI ratio, or simply put, the ratio of your total monthly debts (for example, your mortgage payments including property and tax payments) to your monthly pre-tax income. Depending on your profile and lending resource, you may be qualified at a higher ratio closer to 43%. We recommend that your total monthly spend for housing and debts should not exceed 36% of your monthly income in order to provide you with a safe cushion. In considering your available savings for a down payment there are specific loan types to consider. We’ve made the assumption that if you have at least a 20% down payment, you would be better fit for a conventional loan and anything less (down to a minimum of 3.5%) would be considered for a FHA loan. For more on the types of mortgage loans, see Selecting the Right Mortgage. To determine ‘how much house can I afford’, the standard rule is that your monthly expenses should not exceed 36%. The 36% rule is based on dividing your monthly mortgage payments and other monthly debt payments by your gross monthly income. Key factors in calculating affordability are 1) your monthly income; 2) available funds to cover your down payment and closing costs; 3) your monthly expenses; 4) your credit profile. Income – Money that you receive on a regular basis, such as your salary or income from investments. Your income helps establish a baseline for what you can afford to pay every month. Funds available – This is the amount of cash you have available to put down and to cover closing costs. You can use your savings, investments or other sources. Debt and expenses – It’s important to take into consideration other monthly obligations you may have, such as credit cards, car payments, student loans, groceries, utilities, insurance, etc. Credit profile – Your credit score and the amount of debt you owe influence a lender’s view of you as a borrower. Those factors will help determine how much money you can borrow and what interest rate you’ll be charged. Check your credit score. If I can afford the home, should I buy it? We’ll provide you with an appropriate price range based on your situation. Most importantly, we’ll take into account all your monthly obligations to determine if a home is comfortably within reach. It’s also important to plan for the future. Consider creating a savings plan for upcoming life events, such as having a child. Where can I find more information about affordability? For more information about home affordability, read about the total costs to consider when buying a home. What if I am pre-qualified by a bank for a higher amount than my affordability results tell me? When banks evaluate your affordability, they only take into account your outstanding debts. They do not take into consideration if you want to set aside $250 every month for your retirement or if you’re expecting a baby and want to set aside additional funds. NerdWallet’s Affordability Calculator helps you easily understand how taking on a mortgage debt will affect your expenses and savings. It can be hard to know when to go from renter to owner. Here are some key factors to consider. Before you buy the biggest house you can afford, consider the benefits of a smaller, more manageable monthly mortgage payment. Get the bottom line on what you'll have to pay to buy a house, from one-time, move-in fees to ongoing monthly expenses. Buying a home can seem complicated and scary. Don't worry, it's not that bad. Here's a breakdown of what to expect. A low rate can save you hundreds each year. See how a mortgage impacts your score.